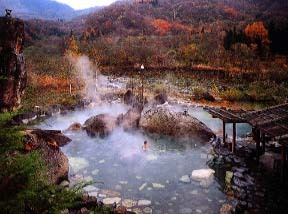 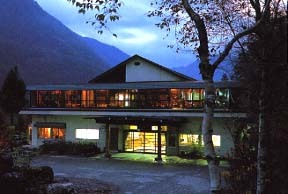 The lodge of the meeting which protects a "Karukaya-Sanso complete view" Japan hidden spring. 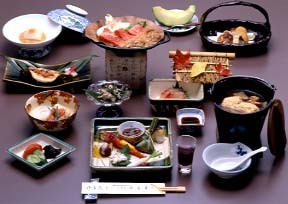 It is a seasonal Japanese formal dinner mainly about the Ho-leaf miso steak of a Hida-gyu meat. 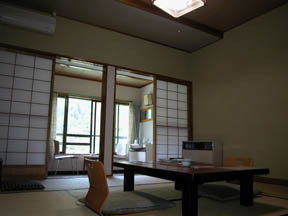 The private bath of TV champion's carpenter championship championship, with a guarantee [ of Mr. Etsuo Noguchi ]. 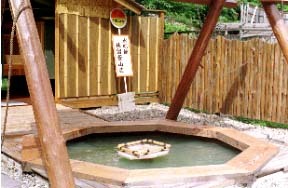 A Large open bath leading [ Japanese ].